It was in late summer of 1989...well actually I don't remember and it could of been anytime between 1986 - 1995, that my Pops played me the two Quintessential Motorcycle & Surf films of our time, Bruce Brown's - On Any Sunday and The Endless Summer... I was too young at the time, with my erratic attention span and all, to fully appreciate these incredible documentaries. Bruce (may I call you Bruce?) 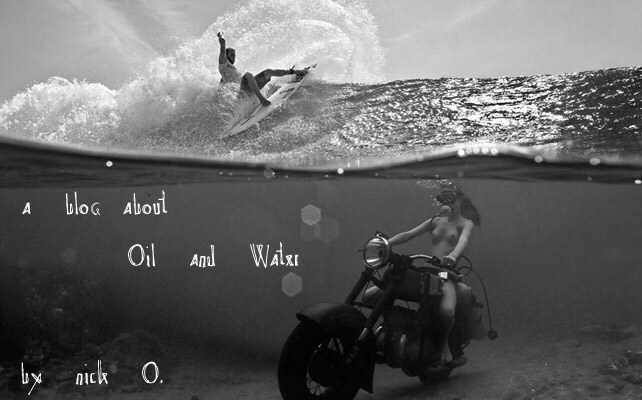 was one of the few (well probably many, but I like to think few) adventurers/visionaries in the 60's & 70's that where drawn to the indescribable experiences that can only be understood by those who posses the focus, commitment and cajones to master the art of surfing and motorcycle riding. Or at least, he really loved to film them fading romantically into the sunset. He saw the similarities in each of the sport's athletes... that "grace under pressure" attitude. A certain genetic link (probably a missing one) that allows the mind to convince the body into a sliding turn at 120 mph on a dirt track or paddle into 40' mountains of water, all while staying calm, cool and collected. 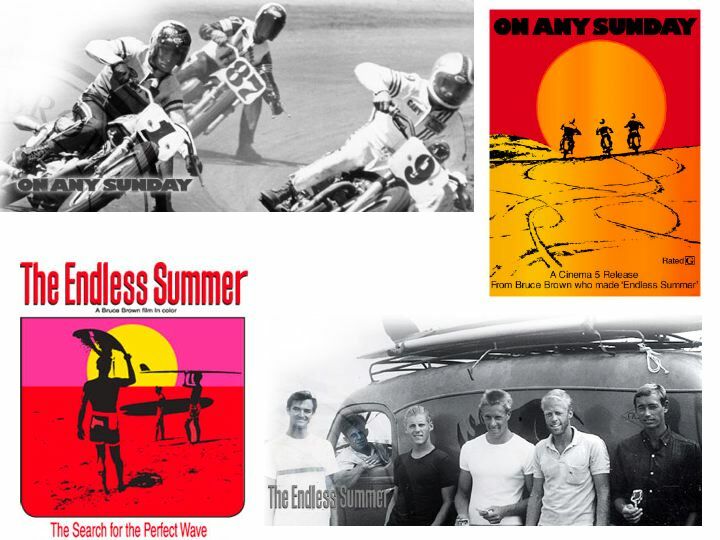 From the comedic commentary to the classic styles and colors, bikes and boards, mustaches and sideburns, these two films will never, ever get old. Ok well maybe if you don't really care about either of those activities, in which case, I'm not sure why you're even reading this or made it this far down in the post. Well like I was saying, seeing the best in the world doing the most with what they had at that time is pretty amazing. If you haven't seen either then don't bother, because we're not friends anymore and I don't really care about you anyways. PS - Danny if you're reading this, come get your sunglasses, they've been here for like 4 days and it's bright outside. Old Kawasaki TV commercial - Rad!! !